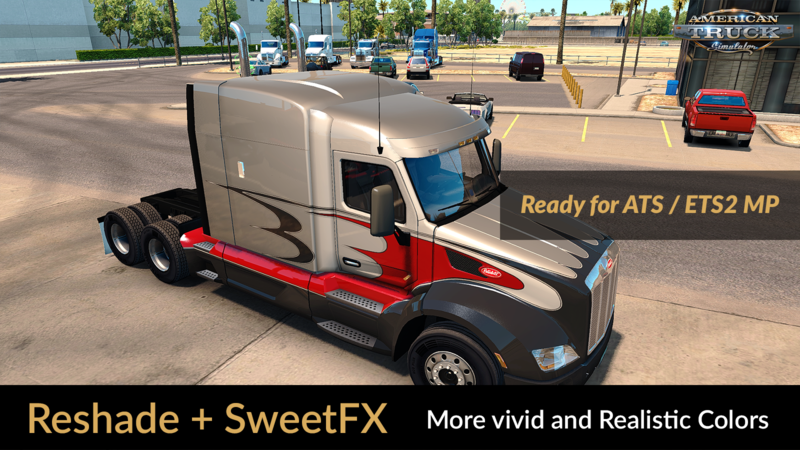 Download mod JBX Settings – Preset v1.9.16 (Reshade and SweetFX) (1.34.x) for ATS | American Truck Simulator game. 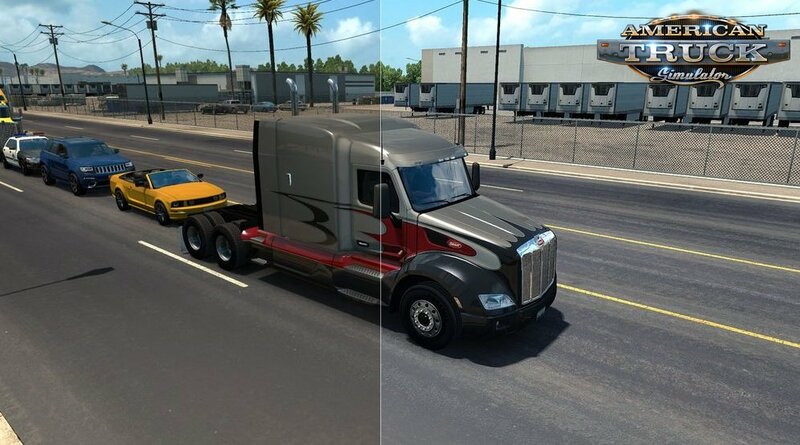 The custom setting v1.9.6 offers better lighting, color, contrast, sharpness and color temperature. 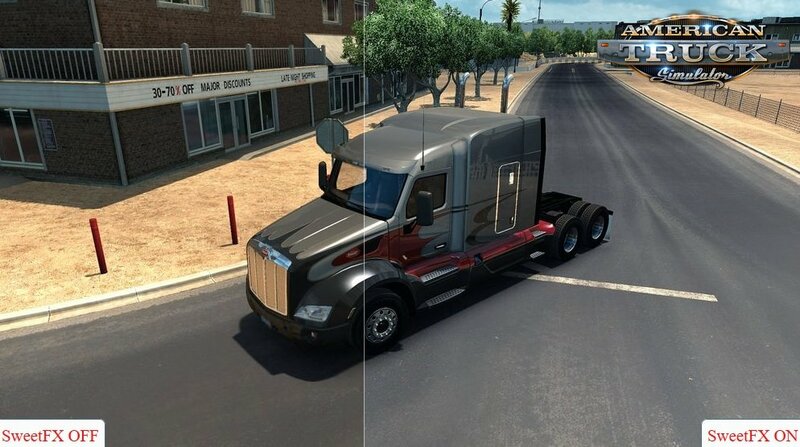 Pure white is removed for more realistic graphics, compatibility with many Games and Mod Graphics. 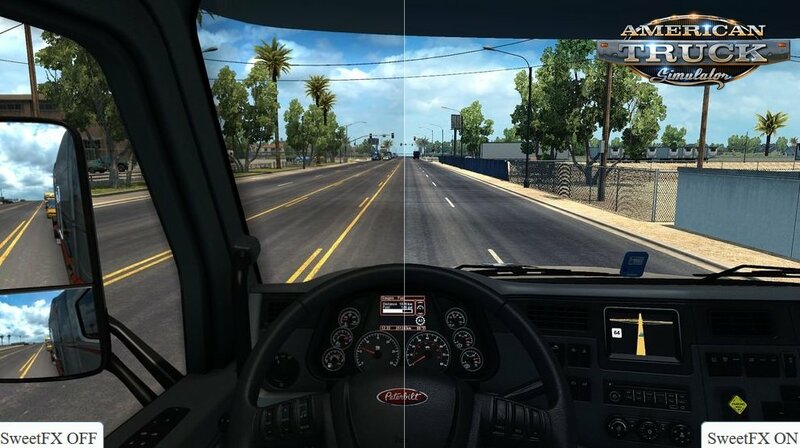 Additional: Deactivate the graphic options of post-processing effects and any other adjustment that affects the quality of the environment, including anti-aliasing filter not recommended. The brightness or gamma settings must be by default in the games. in some games you have to adjust it to avoid excess brightness. - Adjustments and Improvements in DPX. Removed the Clarity Effect. - Adjustments and Improvements in DPX and Tonemap. - Adjustments and Improvements in Curves, DPX, LiftGammaGain and Tonemap. All the previous reshade files must be replaced by the new version. including the folder (reshade-shaders). Adjustments and Improvements in Curves, DPX, LumaSharpen and Tonemap. All the previous reshade files must be replaced by the new version. including the folder (reshade-shaders).